Did you wonder where I had been? Did you wonder if I was ever returning? 2017 was a year which I loved, hated and created so many memories in. I learnt new life skills, I made improvements to change my career and I made other changes to improve my health. However all those things took a lot of my time up. I neglected my blog and as we enter 2018, I promise that I will start spreading more love on you. I miss writing on you, I miss working with fabulous people who help me make this blog what it is and I miss the readers who make me want to continue to write this blog. In late 2016 I got an amazing call and I knew when I got that call, I was being handed something that could potentially improve my families life. 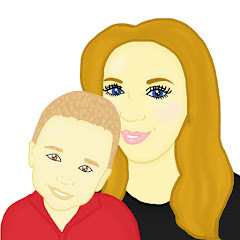 I was accepted on to the Digital Mums course. Having spent so many hours on social media, I knew this was a course I wanted to complete and I knew I would have the love and time to spend on the course however at the same time I knew that my blog would have to take a back seat. I did not realise at the time how much time it would take up however it was something I was keen to complete and something I wanted to see through. I knew if I was able to graduate the course, I would be able to get a new qualification, gain a new skill and create a better life for me and my family. At the start of 2017 we found out that my Dad had beaten cancer however we were dealt with a horrible blow just a few short weeks later when we found out that my Dad had Myasthenia Gravis. My Dad was terribly ill at the start of the New Year and he continued to deteriorate. My Dad was taken into hospital and at the time he was given just 2 weeks to live. Whilst he battled in intensive care, I felt helpless, worried and scared. Those few weeks were the worst weeks of my life. My Dad was just 65, he was too young to leave us and how would we all cope without him? My Dad battled and he battled hard. My Dad managed to pull through and over time, he has learnt to live with the horrible illness which seems to try and rule his life however he has stayed strong and is a true inspiration to so many. He has good days and bad days but he is not letting the illness take him down without a fight. I am so proud that he is entering 2018 with us. Whilst my Dad was in hospital, I relied on lifts from Ben to take me to the hospital. I felt helpless when I was unable to take my Mum up to the hospital as she is unable to drive and I felt even more helpless knowing that I could learn to drive and I had the time to take her to the places she needed to go whilst other family members were at work. This made me determined to learn to drive. In July 2017 I managed to pass my driving test first time. Learning to drive has opened up so many different opportunities to me and is a skill which I only wish I had learnt to do earlier. 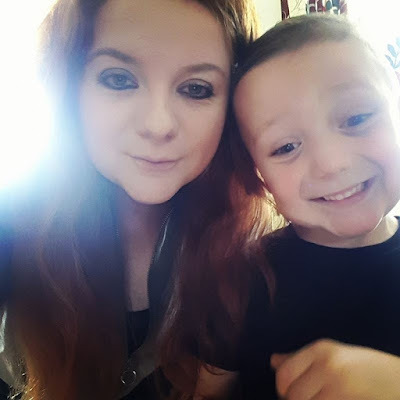 It allowed me to make some fantastic memories with Maxwell over the summer holidays and it continues to allow me to have my own freedom but also create plenty more memories with Maxwell. In 2017 I lost over 2 stone. Since having Maxwell I have struggled with my weight however I knew something had to change at the start of 2017. I had lost all my confidence. I was scared to go out, I was scared to have my picture taken, I was scared that people were talking behind my back. I hated everything about me and I hated my reflection. I grew to realise I was the only person who could change these thoughts so in early 2017 I started going to Slimming World. In the first 4 months I lost over 2 stone however as Digital Mums ate into my free time and the summer holidays hit, I stopped going to Slimming World and piled 12lb back on in 5 months. In November I knew something had to change and I hit Slimming World again. Since returning in November I have lost over a stone. 2018 is going to be the year I hit my target weight and become the person I want to become. I can't wait to start writing more about my Slimming World journey. I hope I can inspire others. 2017 saw me become a Mum to a 6 year old. Maxwell made me continuously proud in 2017 but the highlight of my year was seeing Maxwell stand up so bravely on stage and take one of the main roles in the Christmas play. Only in 2015 was Maxwell attending speech school and was unable to speak a basic sentence. Since then, Maxwell has come on leaps and bounds and I am so proud of him. He continues to blossom, try his best and is such a caring, magical, happy little boy. I can not wait to see how 2018 shapes him. 2018, please be kind to us. We promise to try and be kind to you. 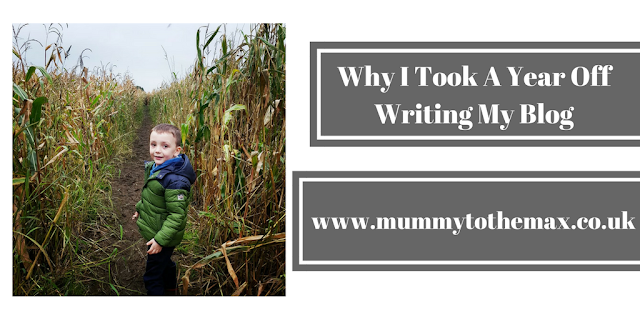 Mummy To The Max blog, I am back. Lets smash 2018.